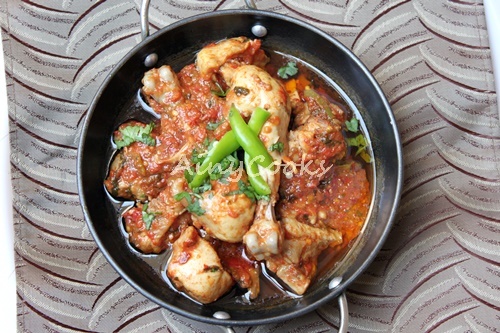 Koyla karhai / Koila Karhai is very famous highway dish. Aroma of charcoal smoke will tantalize your taste buds. 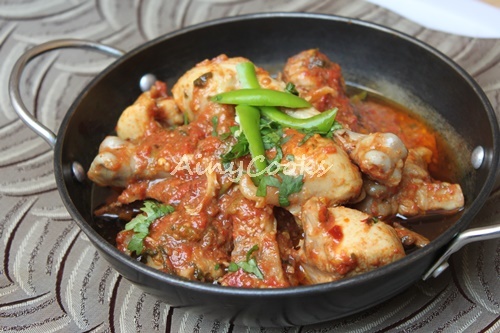 You will definitely enjoy this tasty karhai. In a wok add oil and chicken, fry till color change. Now add tomatoes , crushed red chilies, crushed ginger and garlic, salt and karahi masala (any brand). Fry for few seconds. Add water 1 cup and cover with the lid. Cook for 15 minutes. Remove lid and fry till oil separate. Now add ginger sticks, green chilies and coriander. Remove from stove. Place a bread slice in center and place burning coal on top. Pour 1 tsp oil on coal. Cover with the lid for 10 minutes. 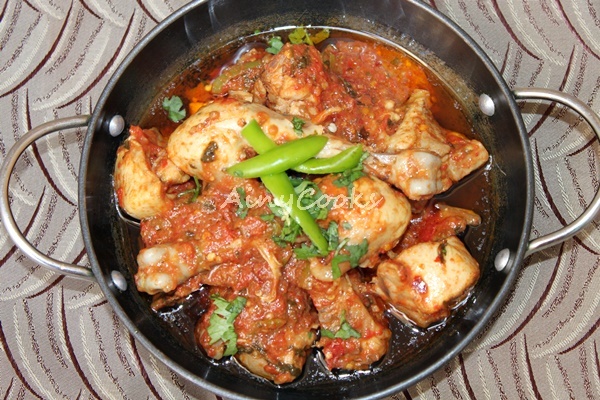 Koyla Karhai is ready to serve.